Elite Shungite is the most powerful, unique and rarest gem in the world! And also the most effective against electrosmog. Elite Shungite is the most powerful, unique and rarest gem in the world! And also the most effective against electrosmog. Strengthening your own energy field (aura and chakras) and a high-quality anti-oxidant influence that boosts the immune system and your health. 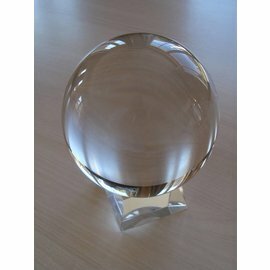 Use as water crystals vitalizes drinking water for humans, animals and plants. Elite Shungite is a form of shungite that contains 10 to 20 times the number of fullerenes than the standard shungite. The operation is therefore many times stronger. It is much rarer and the demand in Russia is large, making the price relatively more expensive. The specific gravity is lower and it has a unique shine. It also does not give black dust or like the unpolished 'normal' shungite. It is mainly used for water treatment and to make jewelry. Shungite is a meteor of unusual composition and structure. It has unique characteristics and is found only in the vicinity of the small settlement called Shunga in Karelia, Russia (in the north west next to Finland). 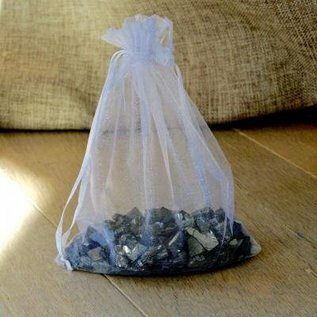 The ecological potential of shungite is very broad due to the possibility of purification of water and air, the protection of people against electromagnetic radiation of different nature, the strengthening of the immune system and the medicinal influence with respect to a wide range of disorders. In addition to the great cleansing and healing properties, it also has spiritual qualities such as sedation and comfort. It absorbs, transforms and re-orders literally negative energy very similar to tachyon. There are many assumptions about the origin. The one that seems the most 'logical' is the following: through a galactic war or collision with a fierce celestial body (Niburu?) A piece of the planet Phaeton, now the astroid belt, landed on Earth about 2 billion years ago. . Currently shungite attracts many scientists, manufacturers and politicians as a promising material for the solution and improvement of many complex environmental problems. For more than 100 years all the sites of Elite shungite have been carved out by the owners of the mines. The owners of the mine "Zazhoginsky" in Petrozavodsk, Karelia of which we sell, have inherited it from their ancestors. Due to the improved living conditions in Russia, it has been very popular since 1990 and the private stocks are almost sold out! At least 5 minutes per 100 ml for optimal performance. Do not leave the water in the pot or glass for more than 12 hours: use the surplus to water plants. When used in a drinking glass, it is best to remove the pyramid after use and rub it dry with a paper towel to prevent bacterial formation. Best discharge every week by grounding and charging by putting at least 1 hour in daylight or sunlight. Ideal amount to vitalize a water can of 1 to 5 liters. Small chunks have a larger total area for greater effectiveness. Best to let it soak for three hours; replace or use unused water for applications below for 24 hours. Noble Shungite or Elite Shungite is the most powerful, unique and rarest gemstone in the world! And also the most effective natural mineral against electrosmog factors. Shungite is in all probability, due to its unique composition such as fullerenes, a meteor that landed on earth billions of years ago. It has unique characteristics and is found only in the vicinity of the small settlement called Shunga in Karelia, Russia (in the North-West near Finland). Ability to absorb oxygen at room temperature in water and in the air. Very grounding (stimulates 1st chakra). Works on the emotional, mental and spiritual body. Against all possible chronic conditions. Both internally and externally applicable. Contains many more fullerenes and carbon (98%). Normal shungite contains C60 fullerene (0.5-1%) and elite shungite C70 (90-98%). C60 molecule: 20 hexagons and 12 pentagons. C70 molecule: 25 hexagons and 12 pentagons. Does not emit any or little carbon. On average 10 times stronger or in other words: 10 times less volume than 'normal' shungite. Very strong anti-smog properties and for watervitalization. Very limited amount available, very desirable and therefore much more expensive. 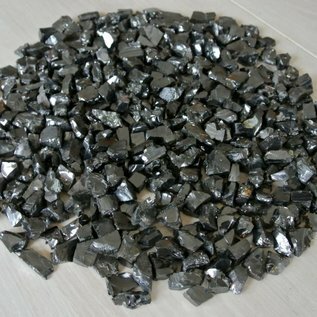 The ecological potential of shungite is very broad due to the possibility of purification of water and air, the protection of people against electromagnetic radiation of different nature, the strengthening of the immune system and the medicinal properties with regard to a wide range of diseases. body provides relief from pain and a number of serious diseases. Taking into account its healing properties, shungite is successfully used in medicine, ecology, agriculture, water supply, metallurgy, energy production, chemical and construction industry. This stone, which has great cleansing and healing properties also possesses spiritual attributes and it calms and comforts. It literally absorbs negative energy very similar to tachyon. It is suggested that shungite after the collapse of the current financial system will be more expensive then become gold because of its rarity and ecological properties. Shungite is a water element in which the fire element (constellation: Aries, Leo, Sagittarius) dominates; some people can sometimes react violently. ELITE SHUNGITE at NATURAL BIO STORE!